Our mutual love of travel first brought us together in Bali, after which Ray made a permanent move to Australia from New Zealand. 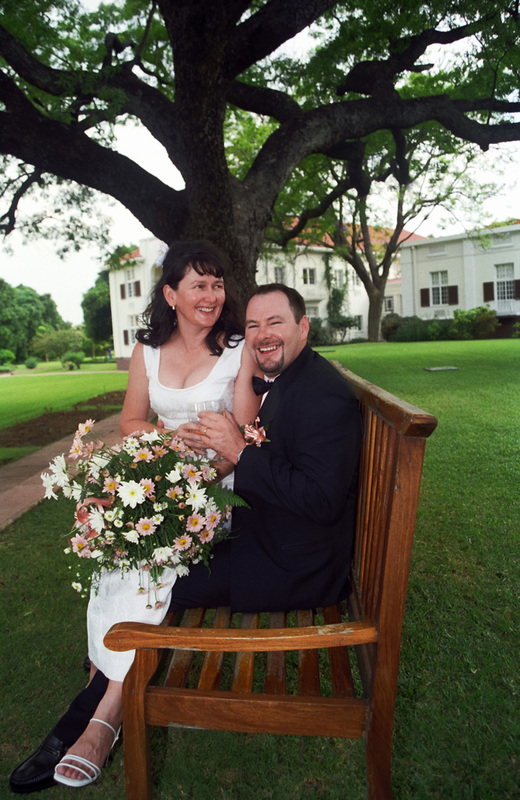 We ‘eloped’ to Zimbabwe where we were married at spectacular Victoria Falls, followed by an amazing honeymoon at a nearby elephant camp. After the elephant camp, we travelled through the middle east, including Egypt, Jordan, Syria, Lebanon and Turkey. We have been travelling together ever since. Our love for travel, photography and wildlife only grows each year. Advocates for wildlife and both vegetarians who love our food, these play a big part in our travels. We love adventure, camping, different cultures, ethnic minorities and festivals around the world. Get away from the crowds, avoid expensive tour companies that do the same old thing, find the best spots for photography, and get involved with the locals. Explore well-travelled places and off the beaten path destinations with local guides or independently. Using local, responsible tourist operators that we have tried & tested – and highly recommend – helps promote sustainable tourism. It also directly benefits the local economy without compromising the environment and wildlife. Many operators we recommend direct a portion of their profits to building and supporting local schools, medical clinics and conservation projects. We hope our travel blogs inspire and motivate you to experience your own unique travels or dream holiday and help you plan the trip of a lifetime.